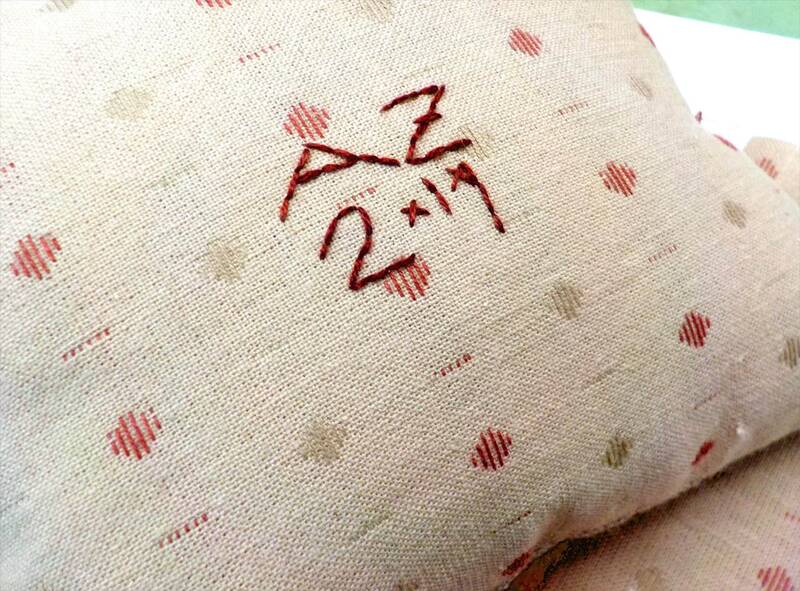 I even initialed the back of the pincushion...we didn't have a ticking that would work, but we did have this delightful Diamond Textile print that has the same vintage-y look as the back of the original pincushion. ---i substituted DMC 3064 with Classic Colorworks Old Marigold. 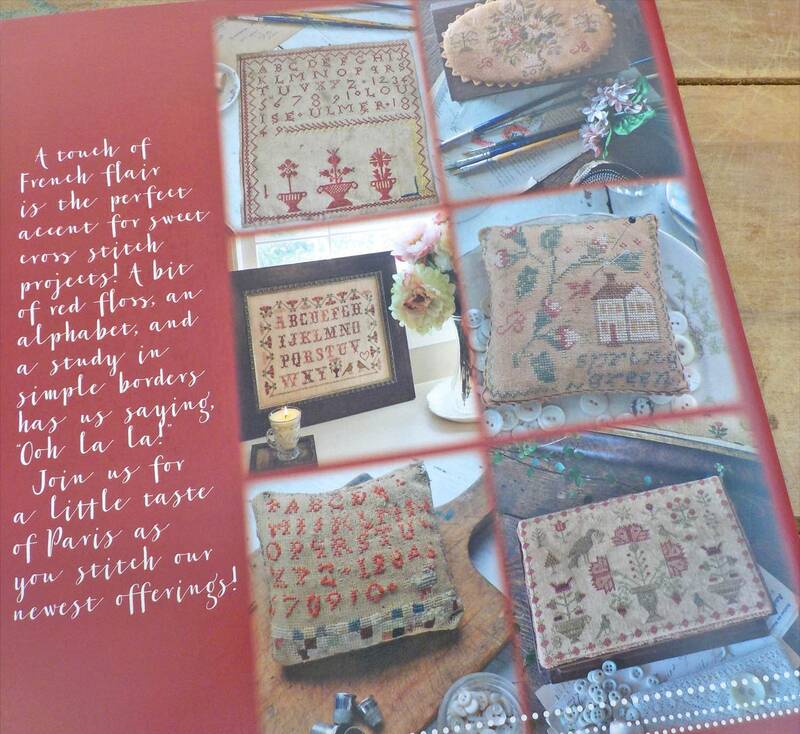 Ooh La La info...a little more on the booklet that features the Le Poulet pincushion chart. 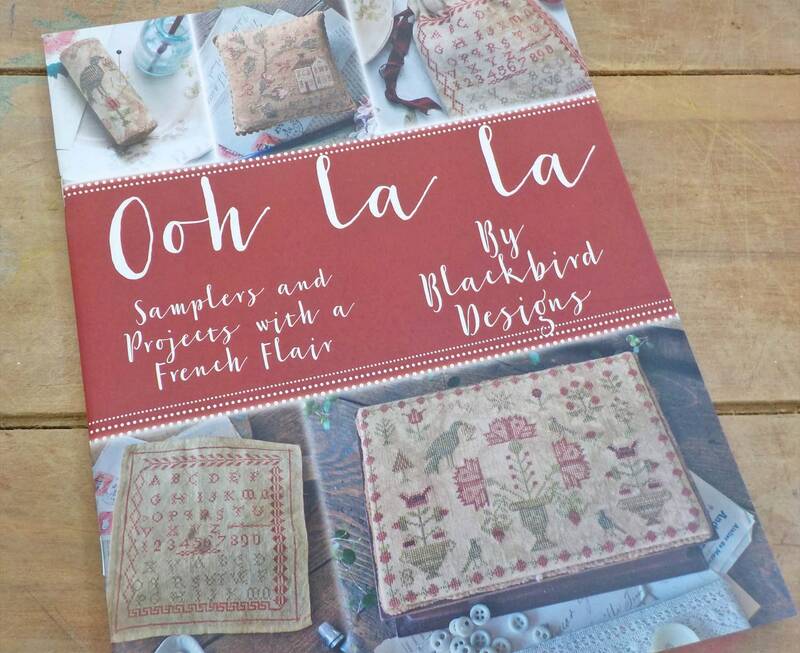 This cross stitch book features 15 projects including a cross stitch samplers, pinrolls, sewing boxes, pincushion, drum pincushion, and mattress pincushion, and a sewing bag. 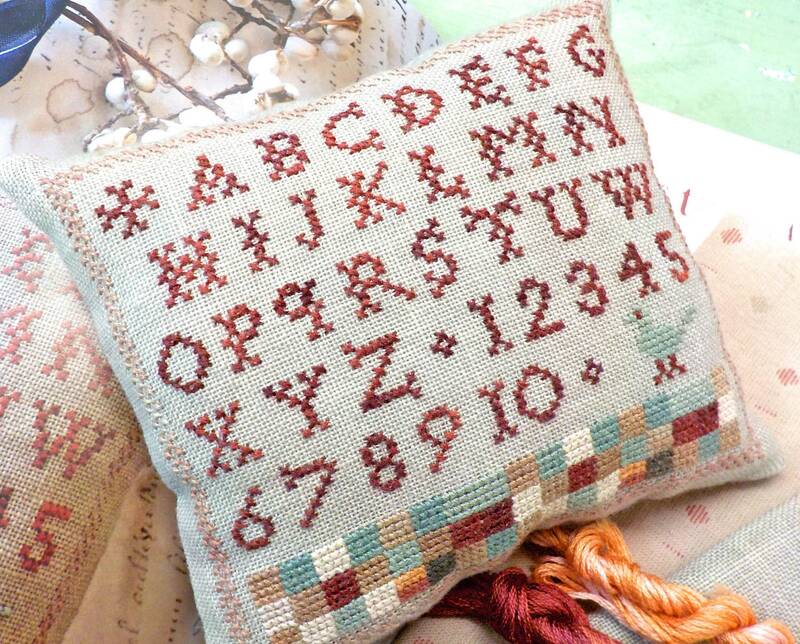 "a touch of French flair is the perfect accent for sweet cross stitch projects! 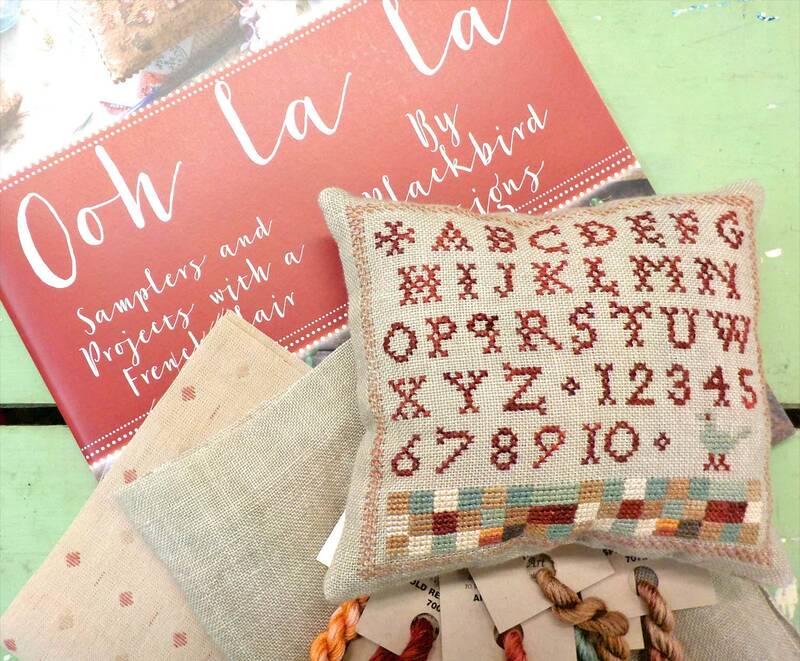 A bit of red floss, an alphabet, and a study in simple borders has us saying, "Ooh la la!" 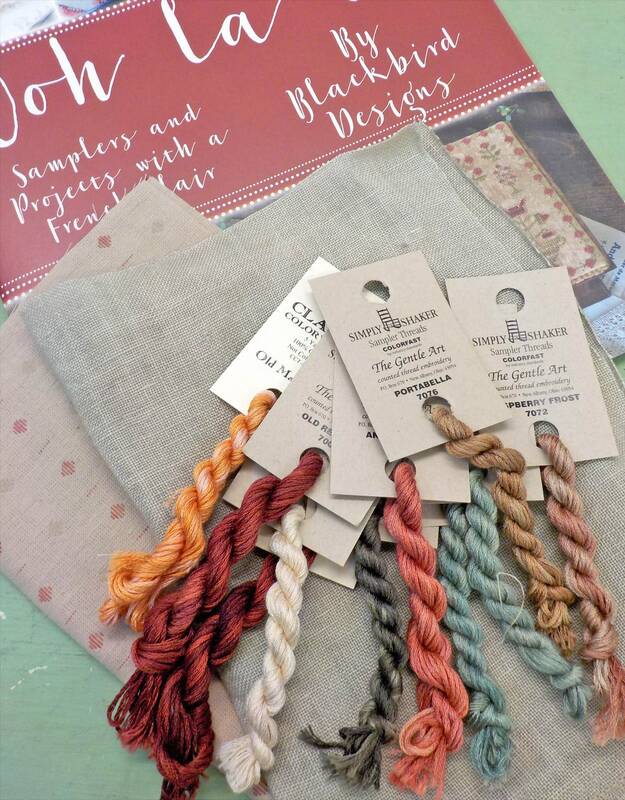 Join us for a little taste of Paris as you stitch our newest offerings!" 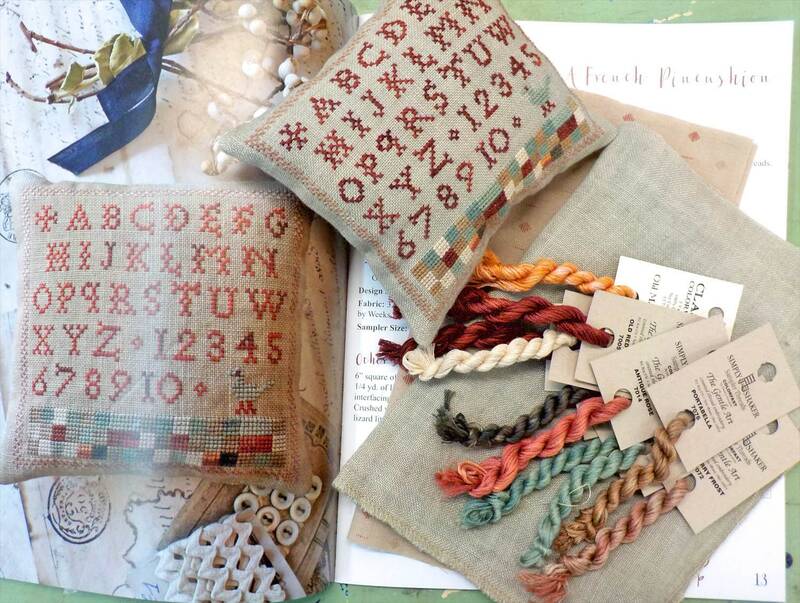 This booklet features vintage stitched pieces along with charts for these vintage lovelies. Some of the vintage pieces are restitched and turned into pincushions, pinrolls, or sewing bags...or frame them up.